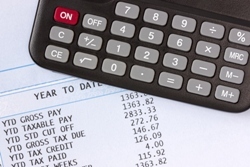 Preparing payroll is not a simple process. Juggling compliance issues, calculating payments for different kinds of employees, and creating payroll reports is not easy for a busy small business owner. Consider outsourcing your payroll processing to THT Tax and Accounting to save time, resources, and frustration. Our CPA firm offers payroll services to all kinds of small business in the Northern New Jersey, NJ area. We'll handle payroll taxes, prepare 1099s, provide regular accounting summaries, and take over any other payroll tasks as needed. With payroll processing out of your way, you'll have more time to serve existing clients and acquire new clients so you can increase revenues. The best reason to outsource your payroll to THT Tax and Accounting is peace of mind. You can count on us to process your payroll accurately and always pay your employees on time. Even when you're swamped with work you can be confident that you won't have to deal with any late fees on your payroll tax filings because we're on top of it. Additionally, our staff is always friendly and provides unsurpassed customer support when you have questions or concerns. Don't spend another week struggling to process your payroll. We offer affordable payroll services with packages designed around the needs of small businesses. Call us at 973-403-1040 today or request a consultation online now.